National Rug Cleaners, Inc., has been providing commercial services in the metro Atlanta area since 1997. We have provided services to many customers during this time period. We provide high-quality workmanship with over fifteen years of experience in servicing both commercial and residential cleaning needs. We place a high priority on servicing you as the customer and use only the safest, most effective cleaning products. Our cleaning products are safe, non-toxic, biodegradable, and environmentally friendly. Once again, we thank you for taking the time to browse our site, and we hope that you will give us an opportunity to service your commercial carpet cleaning and commercial carpet, upholstery, and tile cleaning needs. 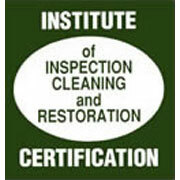 National Rug Cleaners, Inc. offers professional steam cleaning of all carpeted areas for our commercial clients. Our commercial service starts with a professional evaluation, and our service includes: the treatment of heavily soiled areas and high traffic areas; the treatment of spills from drinks (coffee and sodas); spot removal; red clay removal; gum removal; and the removal of grease from animal fat. After pre-treating these areas, we use our specially formulated products to clean and deodorize the carpeted areas. During the cleaning process, we carefully move and clean under tables and chairs and then return the tables and chairs to their original locations. Cleaning upholstery is a specialized process. As part of our commercial service, National Rug Cleaners evaluates the upholstery fabric to determine if the upholstery is cleanable and if the upholstery will respond well to cleaning. National Rug Cleaners is also able to evaluate and clean upholstery such as upholstered chairs, booths, and sofas. Upholstery cleaning prolongs the life of the furniture and saves the cost of replacement.